I’m really going wild with the ramps this Spring. There’s this pressure to just eat as many as humanly possible seeing they’re only in season for a few weeks each year! 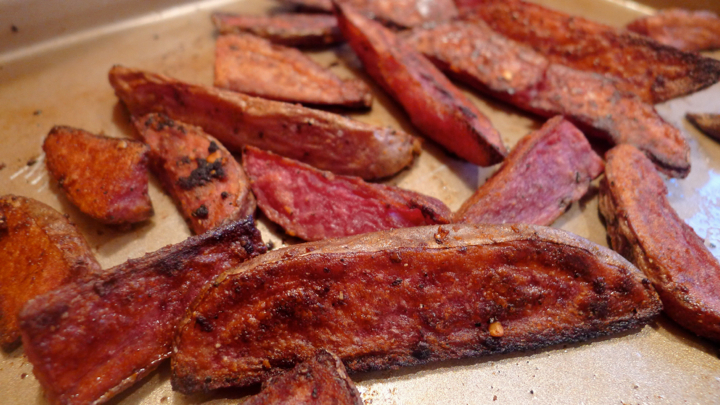 This time I used them in an aioli to go with the Adirondack red potatoes I got this week. 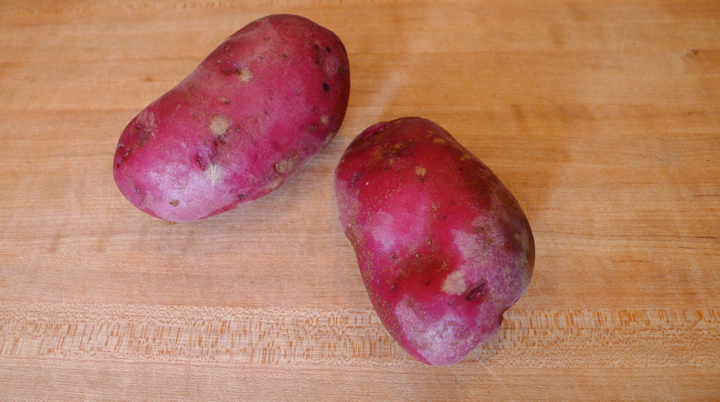 These potatoes are actually red on the inside. They taste just like regular potatoes, but it’s fun to cut them open and not have them be the usual off white color we’re used to. I used Greek yogurt to make the aioli a little healthier. It went great with the spicy potatoes! Preheat oven to 400 degrees. 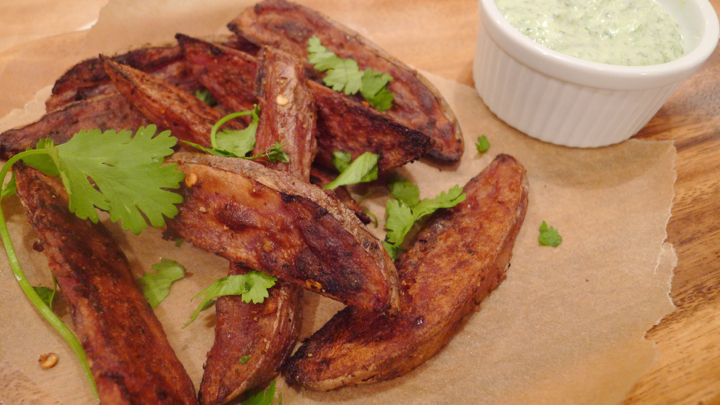 Cut the potatoes into wedges, and place in a large bowl of ice water for about 20 minutes. Pat the potatoes dry then toss them in a bowl with olive oil, garlic powder, onion powder, red pepper flakes, and black pepper. Spread the potatoes on a baking sheet and cooking for about 20 minutes on each side until golden brown and a little crispy. In the meantime, make the aioli. 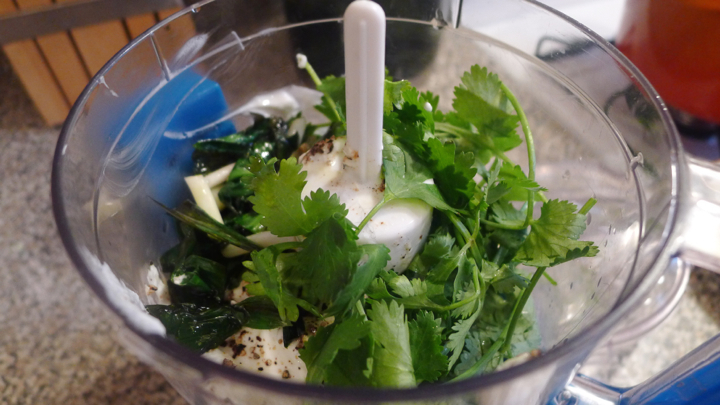 Sauté the ramps in a little olive oil for a minute or two, then place in a food processor with the Greek yogurt, cilantro, pepper, and lime juice. Mix until smooth. 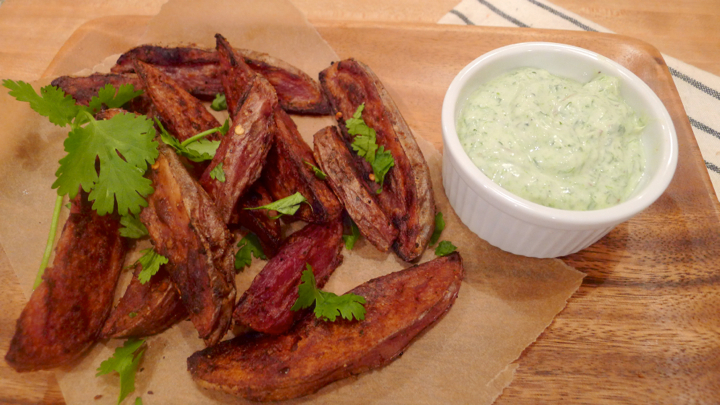 Serve the potatoes with a little fresh cilantro on top and the aioli on the side. Enjoy! 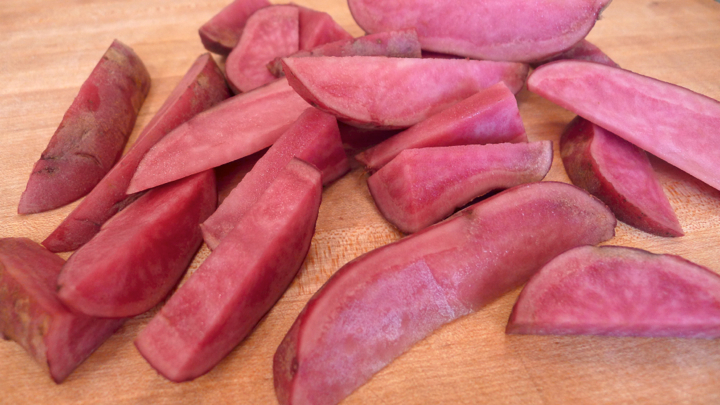 Red potatoes look so pretty! Looks yummy. Love this blog! 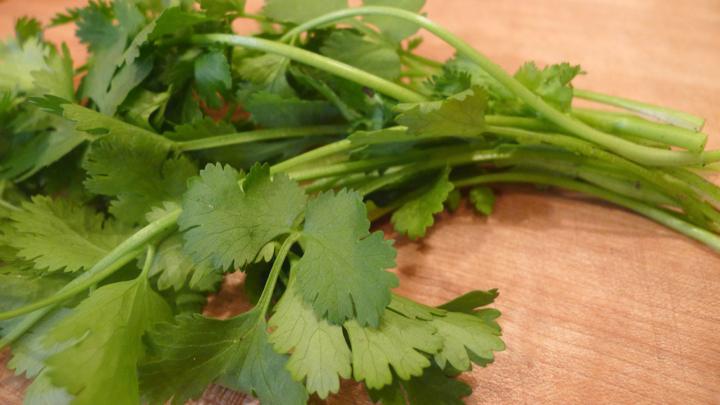 Looks like cilantro though – which is way tastier than parsley! Oh my! You’re right! It is indeed cilantro, I must have had parsley on the mind when typing up my recipe.